In Texas, both political parties now support loosening the restrictions on marijuana in their platforms. That's just the clearest sign that both public opinion and the political calculus on pot are rapidly shifting. Texas isn’t likely to be the next Colorado or California. The state almost certainly won’t be the next one to legalize recreational marijuana use. But there are signs that both the public opinion and political calculus on pot are shifting in Texas, with advocates hopeful that those shifts could yield significant progress during next year’s legislative session. For over a decade, Texas lawmakers have filed bills aimed at weakening Texas' rigid marijuana laws. Those always went nowhere until 2015, when Gov. Greg Abbott signed the Compassionate Use Act, which legalized the sale of a specific kind of cannabis oil for Texans with intractable epilepsy. Three dispensaries have since opened in Texas to produce and sell the oil. Though no further pro-marijuana bills passed during the next session in 2017, last month’s state Republican and Democratic conventions gave advocates a new reason for optimism. At the GOP convention in San Antonio, attendees approved for the first time a plank in the party's platform supporting "a change in the law to make it a civil, and not a criminal, offense for legal adults only to possess one ounce or less of marijuana for personal use." Even Democrats — who’ve advocated for marijuana decriminalization in their platform since 2012 — tweaked their platform at this year's convention in Fort Worth to call for full legalization. Marijuana legalization and the war on drugs has also been has been one of many causes of political friction in the U.S. Senate race between Republican incumbent Ted Cruz and his Democratic challenger, U.S. Rep. Beto O’Rourke. Though he's personally against legalization, Cruz has said that that issue should be up to each state. O’Rourke has advocated for legalization since his days on the El Paso City Council, going so far as to write a book in 2011 advocating for ending the federal prohibition on marijuana. 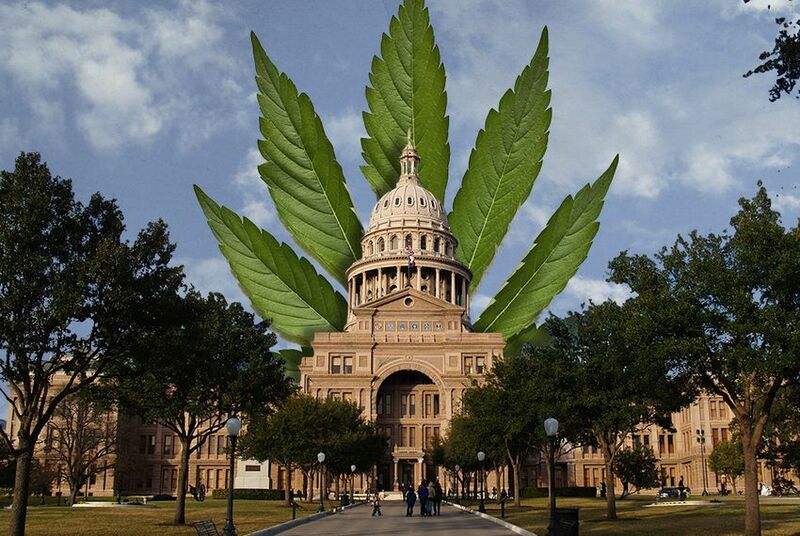 Texas Democrats in favor of legalizing marijuana for non-medical purposes is nothing new. But what’s come as a shock to politicos is a push for more lax marijuana laws from Republicans, who dominate all levels of state government and haven’t typically been vocal supporters of the issue. At this year's convention, the party approved five new marijuana-related planks to its platform, including one in support of decriminalizing small amounts for personal use and another asking Congress to re-categorize cannabis as a Schedule 2 substance, rather than Schedule 1, which includes drugs like LSD and heroin. But even some who’ve previously been opponents of relaxing the state’s pot laws are showing signs of amending their position. Kevin Lawrence, the executive director of the Texas Municipal Police Association, said his group is opposed to legalization or decriminalization because there is no means to test drivers to determine how affected they are. But as technological advancements increase, he said, there’s potential for his organization's position to change. “There is still no scientifically accepted, judicially recognized, standardized, field sobriety test for marijuana,” Lawrence said. “We are hearing that we are close and we’re getting closer and closer to that all the time, and that will probably change our board’s position on this issue when that day comes." "Right now, our concern is on the enforcement and putting officers in a position where they can’t enforce the laws on the books," he added. State Rep. James White, a Republican from Hillister, sponsored a measure last session that would’ve created a specialty court for certain first-time marijuana possession offenders. Though it failed to gain traction, he's hopeful it's a change in the state's policy more members of his party can get behind, noting that someone possessing a small amount of marijuana in their homes are "not endangering the public safety of their fellow citizens."